At the end of September a number of farmers, plant breeders, and chefs gathered together for the Culinary Breeding Network’s Variety Showcase. The event was put on by previous Underground Airwaves guest, Lane Selman. At the event, people could taste a number of different varieties of vegetables and determine the ones they liked best. Not only could they rank the varieties but the farmers and seed breeders were there and ready to talk about all of the vegetables. 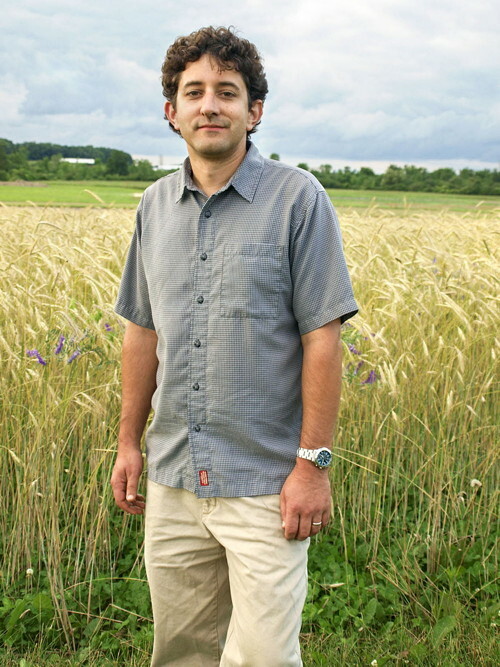 One of the plant breeders at the event was Michael Mazourek of Cornell University. He and I found a moment to step out and talk about his work as a breeder. In that conversation he describes a pepper that he has recently bred that will soon be available commercially, the Habanada. He also talks about how his early gardening experiences influenced him as a plant breeder. The story and interview were recorded at Chris King Precision Components in Portland, OR.